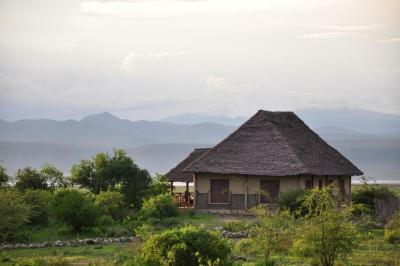 Lock in a great price for Burudika Manyara Lodge – rated 8.5 by recent guests! Beautiful view of the lake. Amazing buffet dinner! 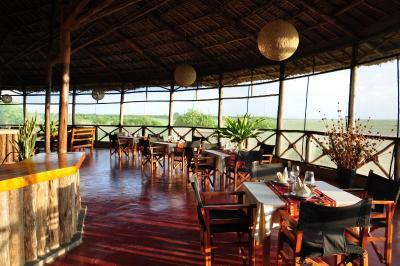 In essence: enchanting location, modern eco-friendly bandas, competent staff. 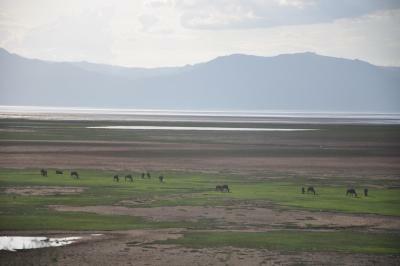 Thanks to friendly Richard, we took the opportunity to go on a charming quiet bicycle ride to the lake shore for spotting flamingos and other wildlife. 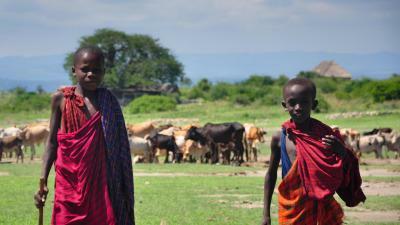 We then headed to a local Masai market cycling through old baobabs and Masai bomas. A delightful experience. 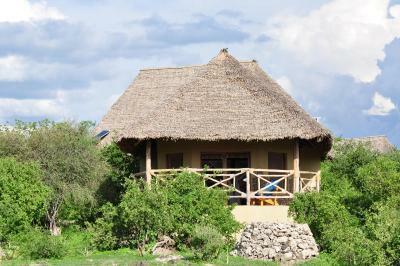 The idea of having the property in the bush with animals roaming around the compound sometimes was pretty near but scary also. The cottages were cute and comfortable. The location is simply stunning: overlooking the lake from your private deck in a lounge chair with a drink is an experience I can recommend to anyone. The water pressure was good and the shower was warm. The staff was very friendly and tried to give us every level of comfort. The restaurant is very pretty, built around a Boabab tree. 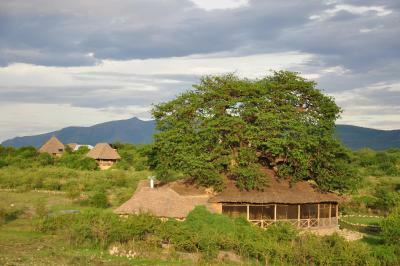 Best place for view the wildlife in Tanzania! Incredibly friendly staff. 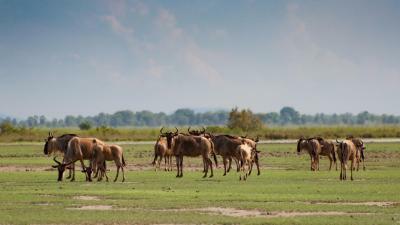 Lodge has its own cars for safaris and you do not need to look for any other companies for safaris to the National Parks. Bad Wi-Fi in the room we even liked because it is a good solution to feel the spirit of nature. Also the birds singing unforgettable. 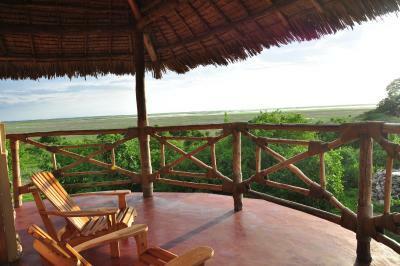 Lovely view from the lodge. 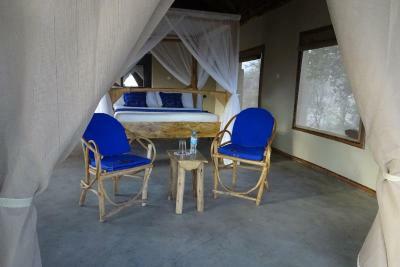 Tranquil and comfortable environmemt! Very helpful and friendly staff. Clean washroom with reliable hot shower. 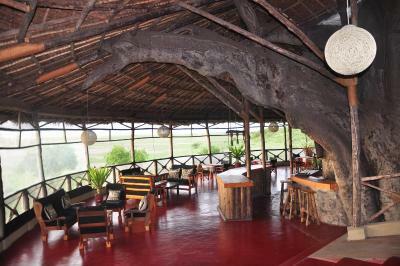 Love the baobab tree restaurant, it's truly amazing!! 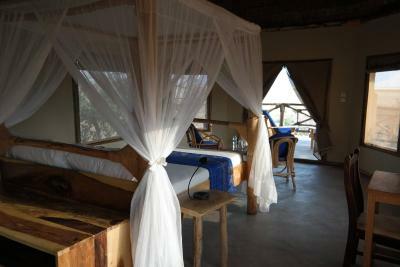 The stay in this lodge is a hightlight of my trip! 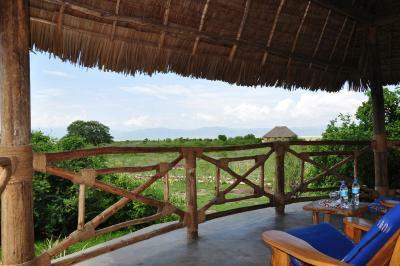 Beautiful eco friendly hotel! Staff were amazing especially Richard in the restaurant!Richard was kind and polite and very helpful. We left at 5am to go to dar es Salaam and Richard woke up extra early to prepare our take away breakfast which in our rush then forgot in the car 😢 Sorry Richard! This is a beautiful small hotel which makes one feel very comfortable and less like a herded sheep that i have experienced in bigger hotels. I no longer stay in big hotels. 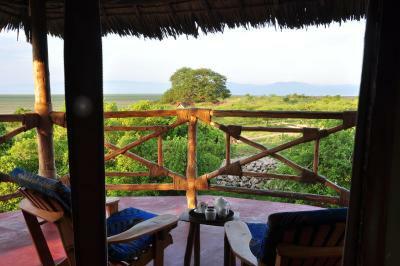 Burudika Manyara Lodge This rating is a reflection of how the property compares to the industry standard when it comes to price, facilities and services available. It's based on a self-evaluation by the property. Use this rating to help choose your stay! 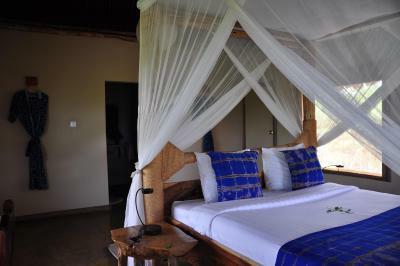 Burudika Manyara Lodge offers accommodations in Mto wa Mbu. Free WiFi is available . 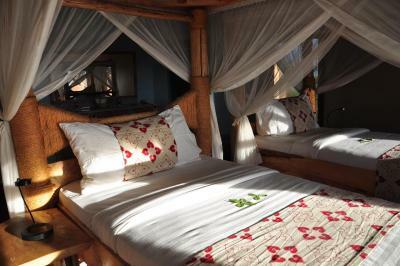 The accommodations features a seating and dining area. A toaster and coffee machine are also featured. 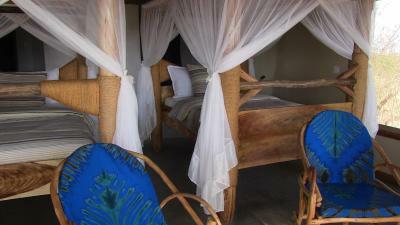 There is a private bathroom with a bath or shower and towels are provided. 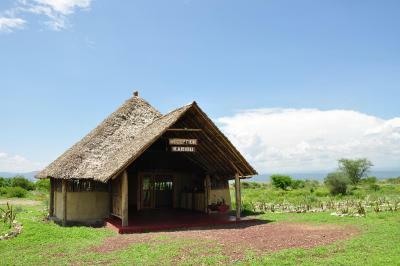 Guests can enjoy the on-site restaurant, with special diet menus and packed lunches available on request. Bike hire and car hire are available at the property and the area is popular for cycling. You can engage in various activities, such as canoeing and hiking. 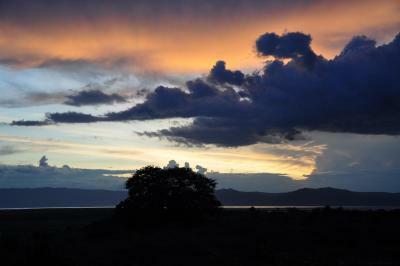 The nearest airport is Arusha Airport, 52 mi from Burudika Manyara Lodge. 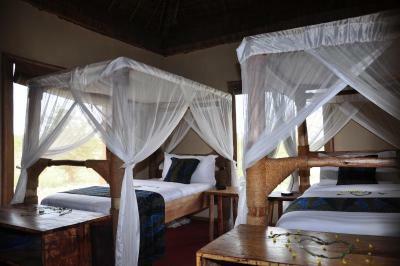 When would you like to stay at Burudika Manyara Lodge? 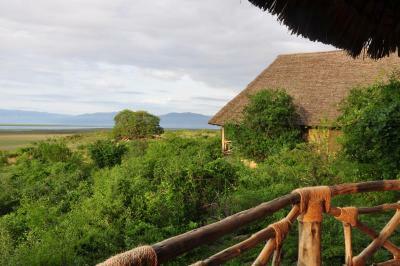 House Rules Burudika Manyara Lodge takes special requests – add in the next step! 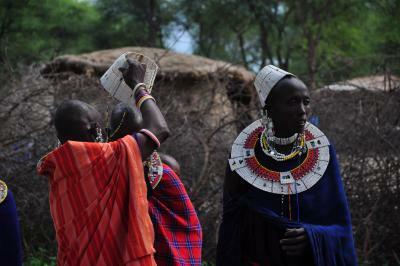 Burudika Manyara Lodge accepts these cards and reserves the right to temporarily hold an amount prior to arrival. We didnt like the stoney walkway to the cottages. They were abit rough and not easy to walk especially at night. 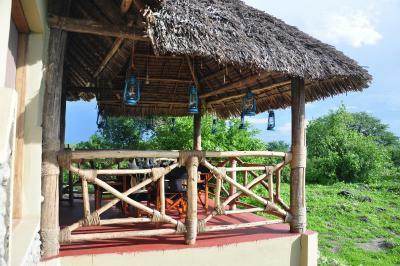 The property should be well lit at night especially if animals are going to be roaming around the compound. But, the idea of having a guard escorting guests at night is brilliant. At night there was quite alot of mosquitoes but once the net was drawn after supper it was tolerable. Otherwise everything else was great! Didn’t have hot water when we stayed. The food in the restaurant was a bit expensive for what it was. The drive up to the lodge is on a gravel road, so make sure to bring a sturdy vehicle. 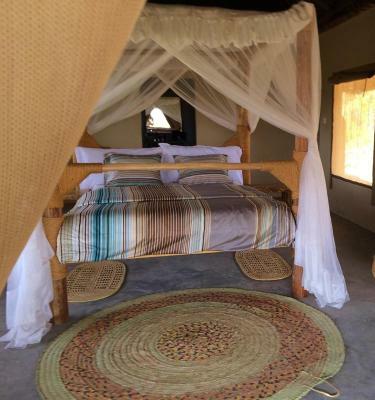 Very quiet, nice decoration, good bed. The road to the lodge is a bit bumpy, yet no worries, it well worths the drive to the lodge. Without any doubt someone stoled from my room 500$. It was my first day on holidays, I had not spend yet any money except for the 100$ visa which I had preñared, and I did not let alone my suitcase till that very night while we went to have dinner to their restaurant. 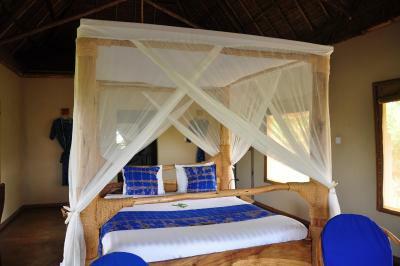 When we came back someone had prepared our bed and 500 $ had disapeared. We looked for the owner who said she will investigate but nothing. This was a very problem for us because we had to pay cash ($) in a lot of places and we had to cancel excursions etc. To get shillings in a ATM there is very difficult as only in some places can you find them.and these ATM only give you a limited quantity not enough at all to cover those 500$. It was really disapointed, owful and a big problem. We wrote after that the owner to ask where could wi dnounce this and sh never answered. just cold water, the Management is not helpful , this management lady ist for nothing , just a show smile not more really not worth the price!!!!!!!! !